It’s almost here!! 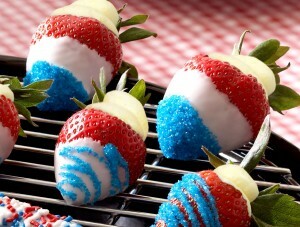 The 4th of July is absolutely, positively, without a doubt my favorite holiday of the year! The activities of the day — grilling with friends, being pulled behind a boat while holding on for dear life (hopefully on a tube or waterskis), and watching the parade — as fun as they are, they pale in comparison to the highlight of my 4th of July celebration… the fireworks! Anyway, because I was deprived of real, genuine fireworks, the big show put on by the city was always a sight to behold. In my opinion, the louder the better. Like so-loud-you-can-feel-a-thud-in-your-chest loud. 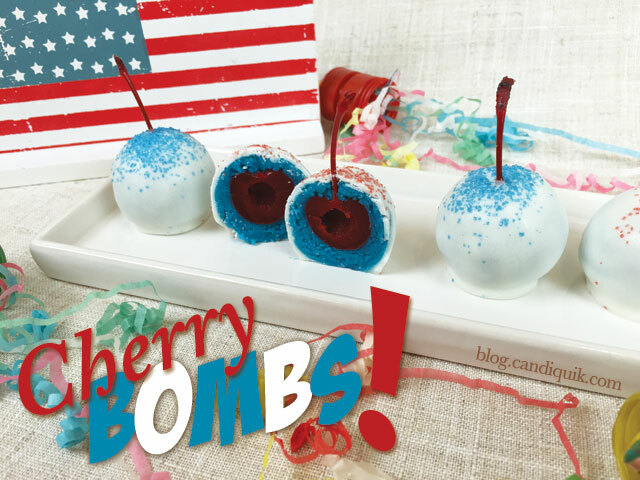 While these Cherry Cake Bombs may not be loud, they’re the most delicious firework I’ve come across. 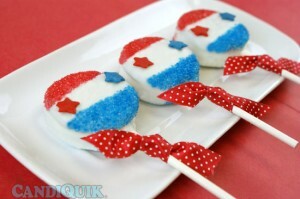 Safe for children and indoor use, they will be sure to brighten up your Independence Day gathering. In order to reach the maximum level of fun on the 4th, leave the real big fireworks to the pros, make sure your dogs and cats have a calm and secure space of their own, please be safe, and eat as many Cherry Cake Bombs as your heart desires! Bake cake as directed on box; cool. Using tablespoon-sized scoops, make a nest out of the cake mix to form around each cherry. More frosting may be added if the mixture is too dry to form. 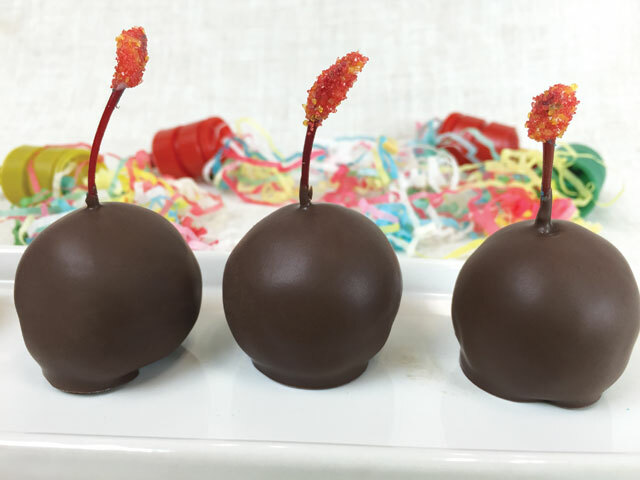 Dip cake balls in melted CANDIQUIK, place on wax paper to set. Add sprinkles if desired.